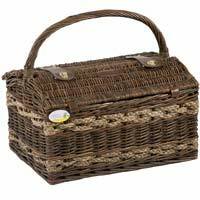 The ideal hamper for an outing in the country, a hunting party, etc. 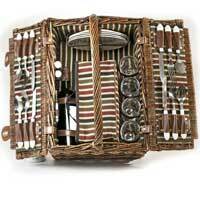 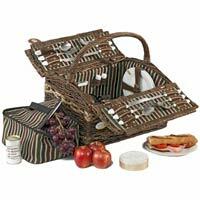 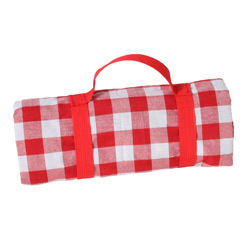 This picnic hamper is made of natural unhusked wicker with two wicker ropes, combining elegance and tradition. 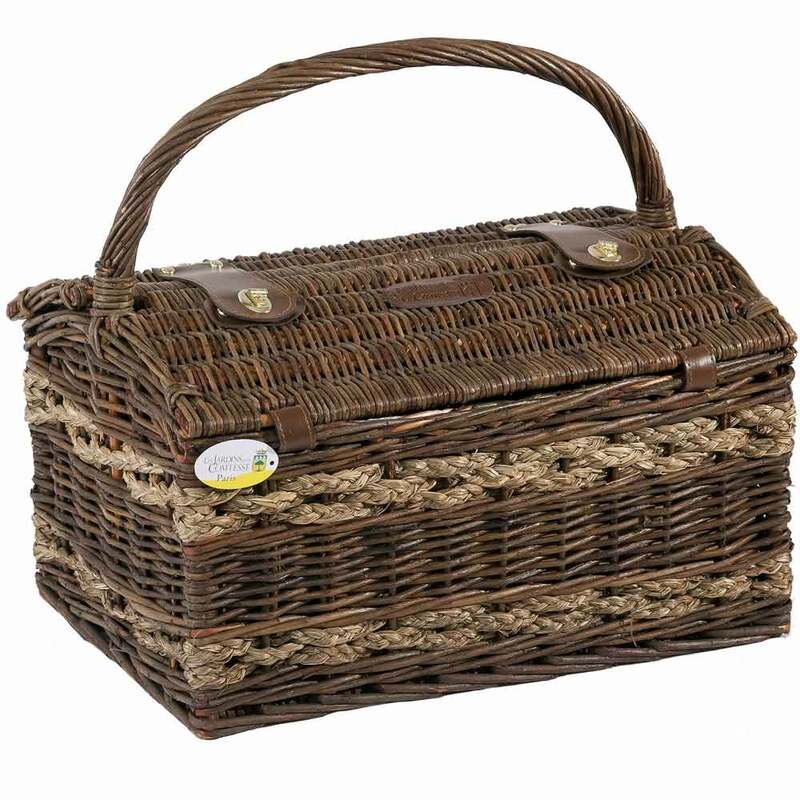 It also has a very big handle making it easy to carry. 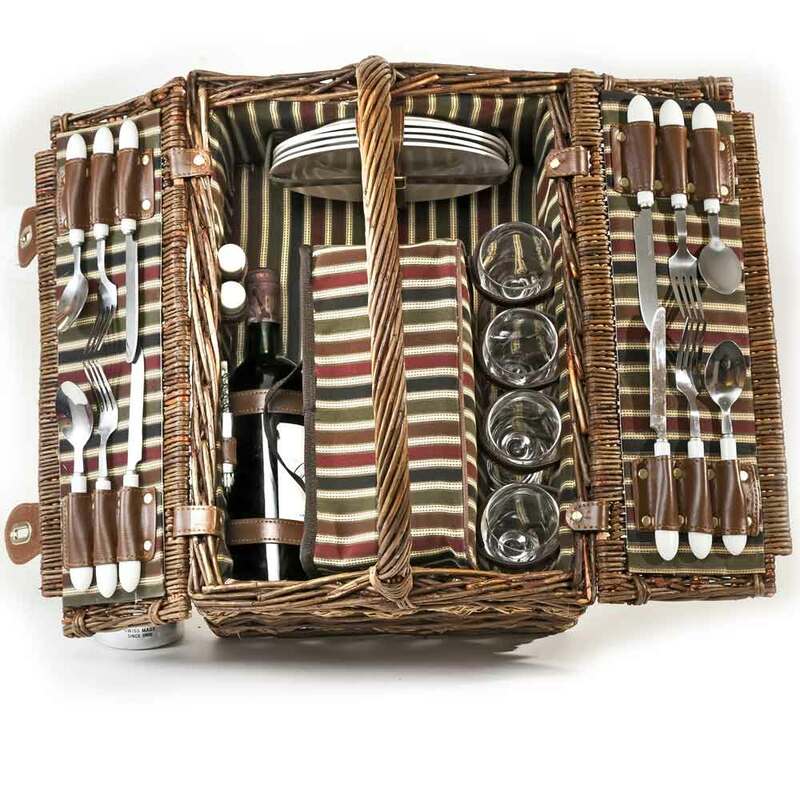 The interior is lined in cloth that has green, brown, burgundy, black, and beige stripes. 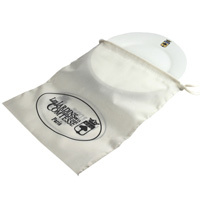 - 2 fasteners for holding a bottle.